What's in the name "YYZ"? YYZ (pronounced "Why Why Zed") is the main airport code for Toronto, my native city, and it's the name of an instrumental track from the 1981 studio album "Moving Pictures" (and various subsequent live recordings) by Canadian progressive rock group Rush. The story behind YYZ is that Neil Peart, Rush's unparalleled percussionist and lyricist, who grew up in St Catharines Ontario, heard the morse code signal for YYZ -.-- -.-- --.. while flying into Toronto. The rhythm of the code stayed with him. The track is written in 5/4 time and spells out YYZ in Morse code, which has been incorporated into the YYZ logo we created for the boat, which you can see here and listen to here. When I was a young teenager, I was traveling alone from New York back to Toronto. 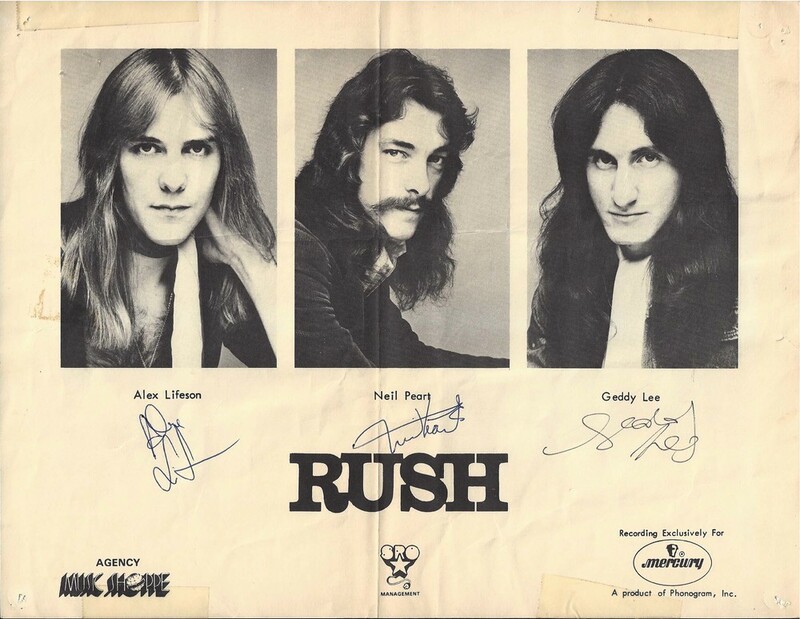 Back then, Rush were still relatively obscure, but I knew who they were because my cousin had several of their early albums including their eponymous debut album and the groundbreaking "2112", in which I had immersed myself one summer in northern Ontario. As an unaccompanied minor, I had been escorted onto the aircraft early. To my utter amazement, the trio from Rush then boarded the plane, along with an assortment of roadies. There they were: Geddy, Neil, and Alex, unassumingly flying economy class back to our collective hometown. Upon the termination of the flight, I mustered the courage to approach them in the baggage claim area. All three of them autographed their triptych for me, which I still have, several decades later. Later, in my 20s, while attending Brock University in St Catharines, Ontario, I attended the Victoria Day festivities on the 24th of May in *the* Lakeside Park that Neil Peart immortalized with his sophomoric, yet touching lyrics. Hearing Rush perform Lakeside Park while actually *in* Lakeside Park on the 24th of May was possibly one of the most recursively cool things ever. So, in choosing a name for the boat, we abandoned both extremes, on one end, any pretension that we could find "the name" that would holistically sum up all the meaning in the universe and, on the other end, some crass pun that would merely cheapen our endeavor. Instead, we chose something that was simple and bi-national, with manifold layers of personal meaning, potentially recognizable to others who might be familiar with Toronto or Rush and, finally, a name that would still be easily understood when communicating over marine radio. In this case, "Yankee Yankee Zulu" achieves just that, especially if you're planning to sail past Lakeside Park on the 24th of May with Neil, Geddy, and Alex amongst your crew.